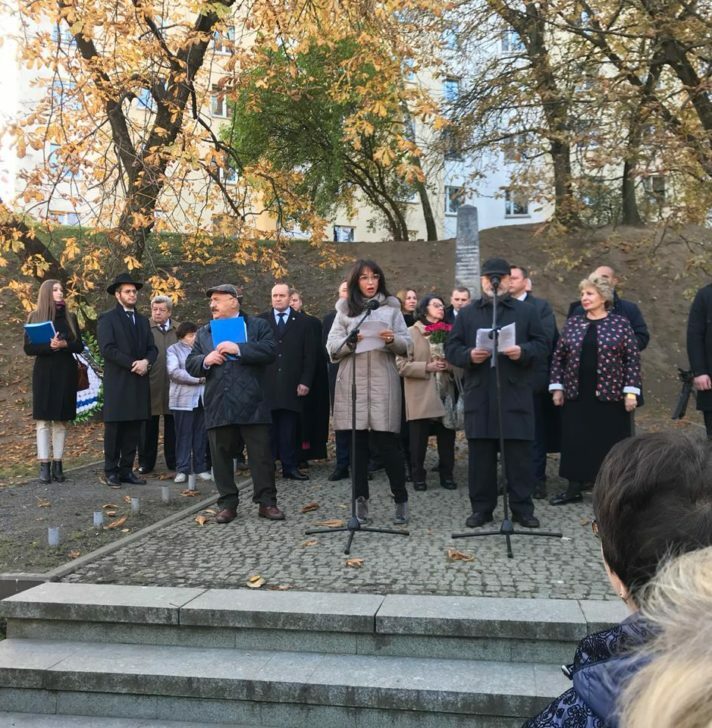 An EJC delegation consisting of representatives and leaders of Europe’s Jewish communities participated in the commemoration ceremony of the 75th anniversary of the liquidation of the Minsk Ghetto, organised by the Union of Belarusian Jewish Public Associations and Communities, the country’s EJC affiliate. 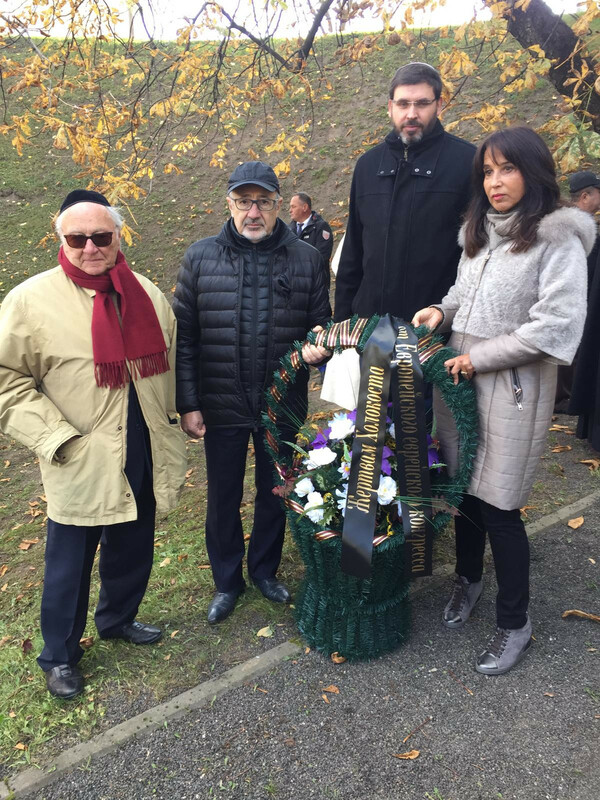 The ceremony took place in the city’s “Yama” Memorial. 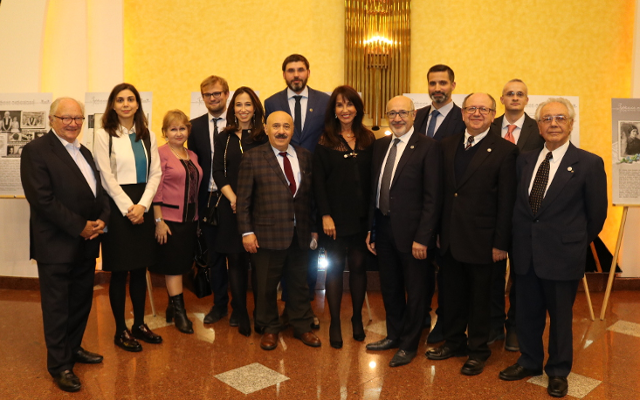 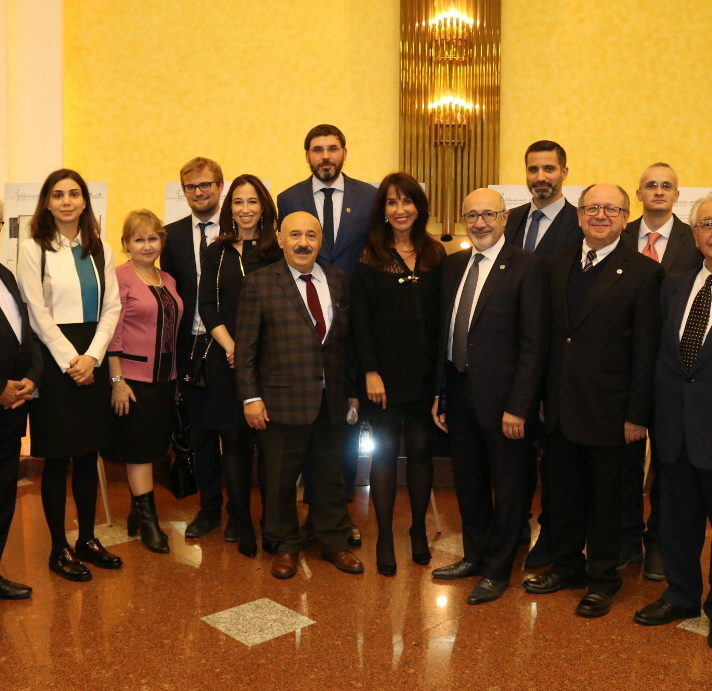 The EJC delegation was led by Executive Vice-President and CEO Raya Kalenova, who addressed an audience which included dignitaries, diplomats, survivors of the Ghetto, Righteous of the Nations and members of the Belarusian Jewish community. 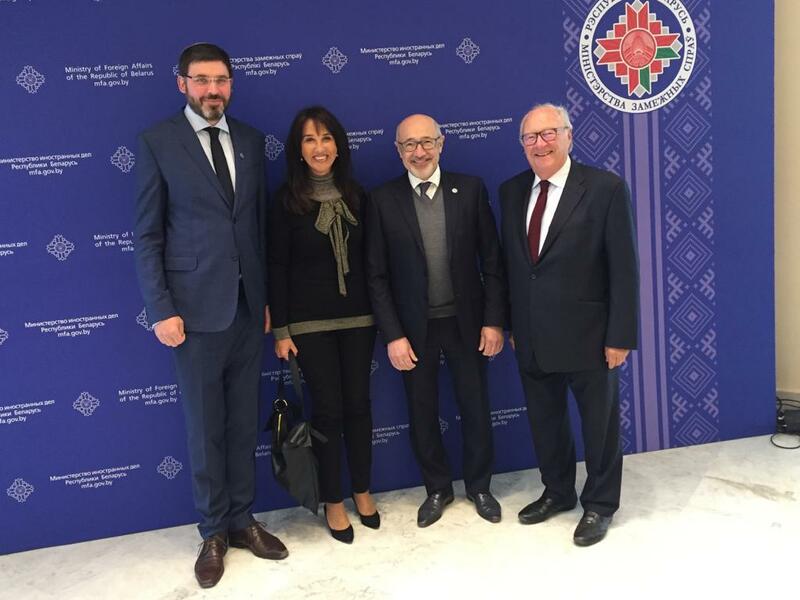 and Vladimir Chernitsky, President of the Union of Belarusian Jewish Public Associations and Communities. 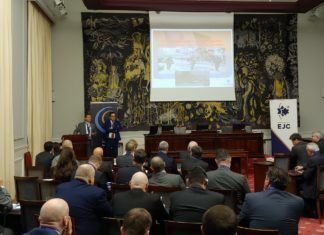 For his part, Foreign Minister Makei stated: “Remembering the Minsk ghetto, means remembering all who perished and what would they have become if they survived. 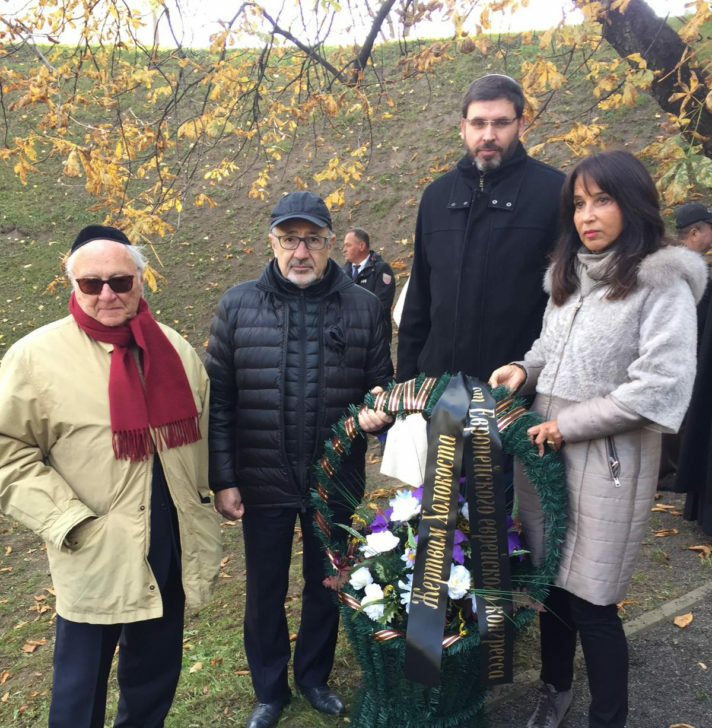 Remembering them means fighting against antisemitism and xenophobia.” In addition, a message by the President of Belarus, Aleksandr Lukashenko, was conveyed by the country’s Deputy Chief of Staff. 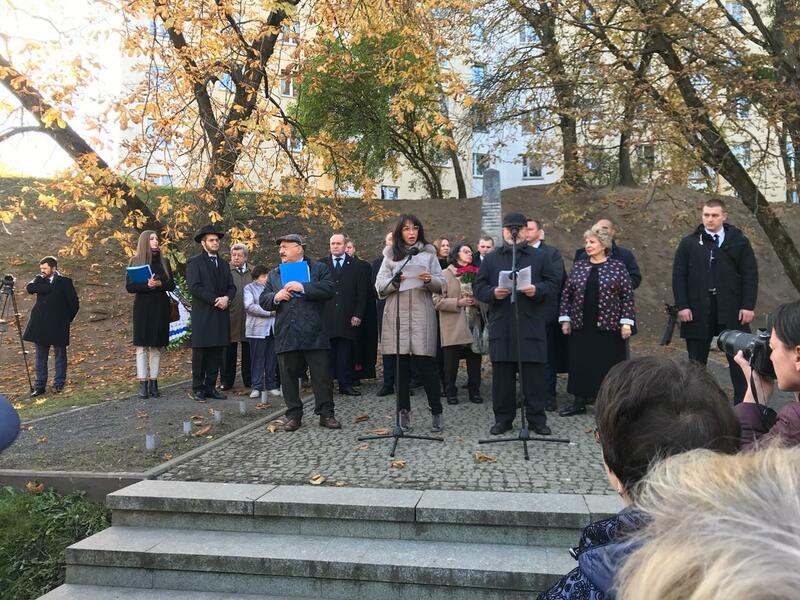 The ceremony forms part of the Minsk Memorial Days, a series of events organised by the Union of Belarusian Jewish Public Associations and Communities dedicated to the 75th Anniversary of the Minsk Ghetto. 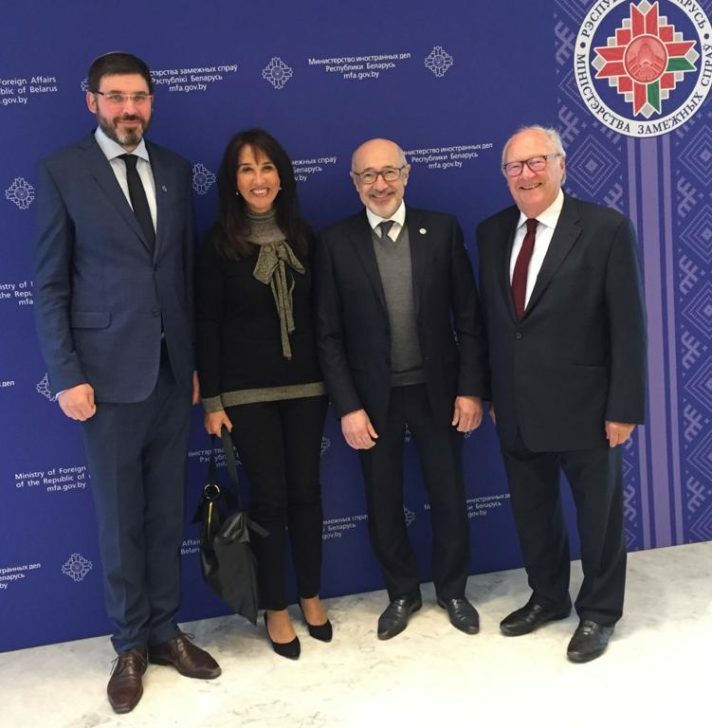 Subsequently, the EJC Delegation attended an international round table discussion titled: “Tragedy of the Minsk Ghetto: Remembrance and lessons” at the Belarusian Ministry of Foreign Affairs. 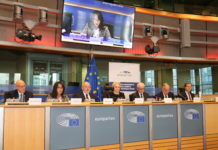 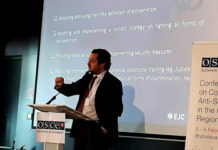 The round table focused on the international response to address contemporary manifestations of racism and antisemitism and other forms of intolerance, including measures to prevent the rise of extremist and xenophobic movements. 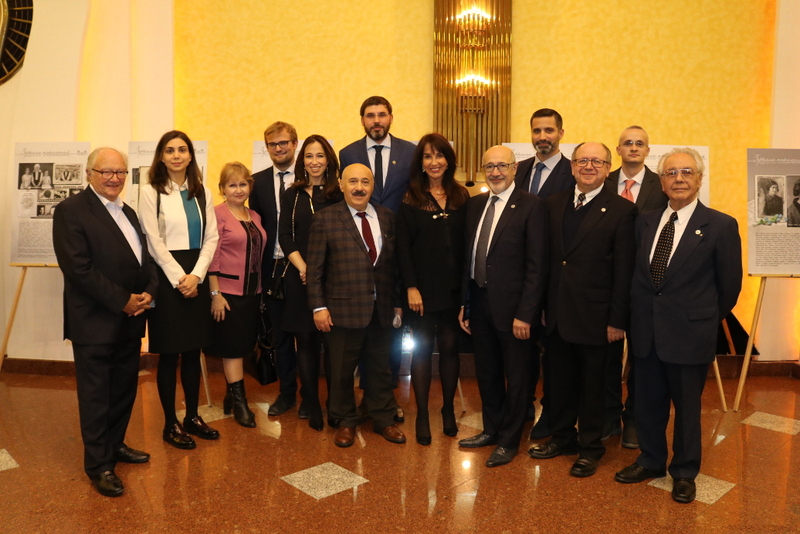 The day’s events concluded with a memorial evening at the Belarusian State Philharmonic which was followed by a reception in honour of the survivors of the Ghetto and the Righteous of the Nations.